The City of La Quinta, home sales for the third quarter of 2017 (July through September) remained strong and were only surpassed by the 3rd quarter of 2011 when homes sold for the lowest price per square foot during this century. The third quarter was not as strong as the two previous but which is traditional for the summer months. Besides the recent success of the stock market leading to investors searching for new forms of deversification, we are now looking forward to tax cuts that might affect the mortgage deduction on second homes which will probably be grandfathered in for homes owned before January, 2018 which should positively impact our year end sales. The 3rd quarter of 2017 finished 103% ahead of the same quarter in 2016 and 111% above the average 3rd quarters since 2008. Although inventory has shrunk, price per square foot has not grown noticeably and in some cases has also shrunk. Based on last year’s summer months performance, 2017 could turn out to be our very best years ever. Historically, the first six months (our “season”) produces about 55% of our annual sales and the second quarter produces about 45%. A Market Watch for the entire Coachella Valley is sponsored and compiled by the Palm Springs Regional Association of Realtors (PSRAR) and the California Desert Association of Realtors (CDAR) and published monthly. The September report can be seen by clicking here. Below are some Graphs representing the City of La Quinta through September, 2017. The City of La Quinta, home sales for the year of 2017 were the strongest since 2004. The growing strength from the end of 2016 carried over through the first half of 2017. As you can see from the numbers below, the unit sales increased in 2017, 15.8% over 2016 but the price per square foot decreased .08% Here are the unit sales and price per square foot by quarter for 2015/2014, 2016/2015 and 2017/2016 in the City of La Quinta. 2017 has seen a strong increase in sale which echos the increase in the national economy. As the stock market grows people are looking for other investments which might not be as volatile as the stock market. We look to 2018 to be a good year. The City of La Quinta, home sales for the first half of 2017 (January thru June) were the strongest we’ve seen in the 9 years we have measured it. The second quarter was actually stronger than the first. A possible reason for this is the robust performance of the stock market. People may well be trying to preserve their portfolios by diversifying their investments into the real estate market. The 2nd quarter of 2017 finished 115.4% ahead of the same quarter in 2016 and 117.8% above the average 2nd quarters since 2008. The first two quarters of 2017 has been very strong finishing 122% ahead of the average first two quarters since 2008 and by the looks of the beginning of the 3rd quarter, this year should be one of our best. Although inventory has shrunk, price per square foot has not grown noticeably and in some cases has also shrunk. Based on last year’s summer months performance, 2017 could turn out to be our very best year ever. Historically, the first six months (our “season”) produces about 55% of our annual sales and the second quarter produces about 45%. A Market Watch for the entire Coachella Valley is sponsored and compiled by the Palm Springs Regional Association of Realtors (PSRAR) and the California Desert Association of Realtors (CDAR) and published monthly. The June report can be seen by clicking here. Below are some Graphs representing the City of La Quinta through June, 2017. The City of La Quinta, home sales for the first quarter of 2017 (January thru March) was the strongest we’ve seen in the 9 years we have measured it. A possible reason for this is the robust performance of the stock market. People may well be trying to preserve their portfolios by diversifying into the real estate market. The 1st quarter of 2017 finished 137.8% ahead of the same quarter in 2016 and 126.8% above the average 1st quarter since 2008. The beginning of 2017 has been very strong and by the looks of the beginning of the 2nd quarter this year should be one of our best. Although inventory has shrunk, price per square foot has not grown noticeably and in some cases has also shrunk. Based on last year’s summer months performance, 2017 could turn out to be our very best years ever. A Market Watch for the entire Coachella Valley is sponsored and compiled by the Palm Springs Regional Association of Realtors (PSRAR) and the California Desert Association of Realtors (CDAR) and published monthly. That report can be seen by clicking here. Below are some Graphs representing the City of La Quinta through March, 2017. The City of La Quinta, home sales for the fourth quarter of 2016 (October thru December) was very interesting. As mentioned in our 3rd quarter post, after a very slow start to the year, the 3rd quarter was one of the strongest we have seen. The 4th quarter of 2016 finished 7.3% ahead of the same period from 2015 but down 8.1% from the 3rd quarter of 2016. Here are the unit sales by quarter for 2015/2014 and 2016/2015. 2016 sales of unit sales increased by 7.3% over 2015 but the price per square foot decreased by 1.3% from the previous year. 2016 has been similar to 2015 except the January sales were even less than 2015, and the inventory started growing at a rapid pace. The inventory continued to grow and the sales were slow, which turned the market into a buyer’s market with prices dropping. Buyers finally started to appear in April and the momentum continued growing throughout the summer making September the second strongest September we have ever had. The City of La Quinta, home sales for the 2016 “Season” (January thru May) were 0.7% higher than the same period in 2015. It seems like the “Season” never really materialized in 2015. We started that year with a tight inventory of homes for sale. That lack of homes for sale was a major contributor in the decrease in sales for the first half of the year. Another factor may have been the result of the announcement and press coverage of the state’s drought condition. This was a new hot topic and was a concern to a significant number of potential buyers. For these and other reasons, sales didn’t get started until April. A difference from the prior years was that the sales continued through June and July, dropped off in August, but then were strong again in October and November. 2016 has been very similar to 2015 except the January sales were even less than 2015, and the inventory started growing at a rapid pace. The inventory continued to grow and the sales were slow, which turned the market into a buyer’s market with prices dropping. Although the rumor mill has attributed this increase in listings and the decrease in sales to Canadians, we do not believe that to be the major reason. It probably accounts to 5% of the increase in inventory in certain areas of the Desert. As far as the decrease in buyers, the Canadians have not been purchasing here much in the last 3 years, since the fall of the Canadian dollar in 2013. Some other factors that are playing a huge role in our market are the current state of the world economy, and the down turn of the stock market. The Desert is a second home market, and when people see their portfolios decrease, the idea of that second home is put on the waiting list. The good news is that sales started picking up in April of this year and hopefully will continue throughout the summer. Because of the above information the average price per square foot decreased 1.8% for the first 5 months in 2016 over 2015. Below are some Graphs representing the City of La Quinta. The Palm Springs Regional Association of Realtors (PSRAR) publishes monthly statistics for the entire Coachella Valley. That report can be seen by clicking here. The City of La Quinta, home sales for the year 2015 are 1.9% lower than 2014 with the second half finishing better than the first. This may have been because the announcement and press coverage of the state’s drought condition was new and plentiful and was a concern to a significant number of potential buyers. The fourth quarter of 2015 was 22% higher than the fourth quarter of 2014. We started 2015 with a tight inventory of homes for sale which is a major contributor to the decrease in sales throughout the first half of the year. When compared to 2014, sales picked up through the summer months which brought 2015 sales closer to those of previous year. Even given the above information, as far as prices go, the average price per square foot rose 3% in 2015 over 2014. However, we must note that 2014 prices were below the annual average of the last three years. As everyone is saying currently, we have noticed here in the Coachella Valley that since the fall of the Canadian dollar in 2013 and the first quarter of 2014, there has been a noticeable decrease in the number of Canadian buyers. After the crash of 2008, the Canadian dollar rose to be more valuable than the American dollar which spurred on the Canadian buyers. Since 2011, the Canadian dollar has returned to a more traditional level which means that a Canadian buyer would need close to one million Canadian dollars to purchase a $700,000 home in the U.S. So, this is definitely one factor in our current slow down but certainly not the only factor. The Canadian market was never 90% of our sales so we cannot simply blame this slow down on that one factor. Unfortunately, the current state of the world economy, the down turn of the stock market, and the large inventory of homes for sale that keeps growing have all contributed in turning this into a buyer’s market. In January, the inventory has risen significantly and here are some numbers showing the age of that inventory. A 6 month inventory is considered normal. More than 6 months is considered a “Buyers” market and less then 6 months is considered a “Sellers” market. The City of La Quinta, unit sales for year 2014 are 16.6% lower than 2013. As you can see from the graph below, each month in 2014 fell behind the same month of the previous year. The fourth quarter of 2014 was the worst with 26.75% less sales than the third quarter of 2013. During 2014, we have had a very tight inventory of homes for sale which is a major contributor to the decrease in sales this year. The 4th quarter of 2014 was the worst quarter for La Quinta since 2007. The quarter that recently ended recorded La Quinta sales of 230 homes, a drop of 26.75% over the same quarter in 2013 (314). Just to keep this in perspective, 2013 was the best year since the “bubble” burst in 2006. What we have noticed here in the Coachella Valley was that during the late fall of 2013 and the first quarter of 2014 there was a noticeable increase in the number of American buyers most likely based on the slight improvement in the US economy and a decrease in Canadian buyers most likely based on the devaluation of the Canadian dollar. The number of buyers at that time, coupled with a very low inventory, caused prices to begin to rise substantially in many developments. Toward the beginning of the second quarter, there seemed to be a change in buyer attitude. The Canadian dollar kept declining against the US dollar and the number of American buyers decreased reducing the demand causing prices to level off and even declined slightly. This malaise which has been caused by the tight inventory, and the investors not liking the increase in pricing, has malingered for the rest of the year. We are hoping that after the election and as we enter the selling season, we will see more inventory and then sales again pick up. For more information about the Coachella Valley Real Estate market, Please call us at (760) 203-2621! 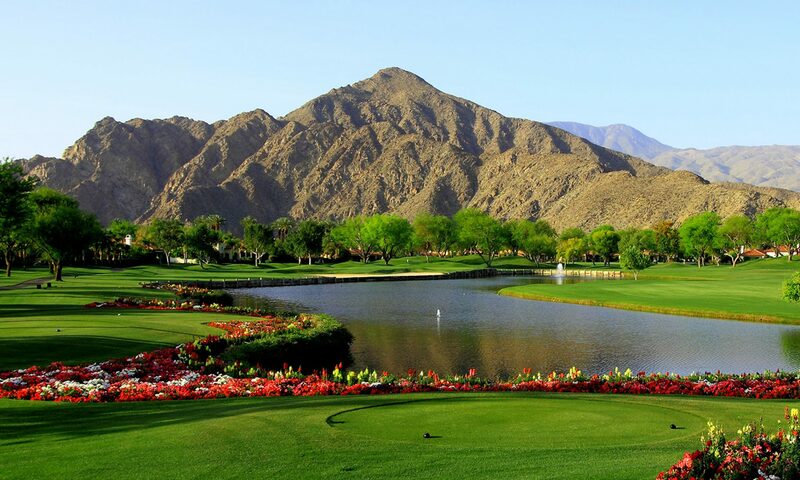 The City of La Quinta, year-to-date unit sales for 2014 are 18% lower than 2013. As you can see from the graph below, each month in 2014 has fallen behind the previous year. The second quarter of 2014 was the worst with 28% less sales than the second quarter of 2013. During 2014, we have had a very tight inventory of homes for sale which is a major contributor to the decrease in sales this year. The summer of 2014, (3rd quarter – July, August and September), was the worst summer quarter for La Quinta since 2007. The quarter that just ended recorded La Quinta sales of 266 homes, a drop of 15% over the same quarter in 2013 (314). Just to keep this in perspective, 2013 was the best year since the “bubble” burst in 2005. What we have noticed here in the Coachella Valley was that during the late fall of 2013 and the first quarter of 2014 there was a noticeable increase in the number of American buyers and a decrease in Canadian buyers. The number of buyers at that time, coupled with a very low inventory, caused prices to begin to rise substantially in many developments. Toward the beginning of the second quarter, there seemed to be a change in buyer attitude and prices leveled off and even declined slightly. This malaise which has been caused by the tight inventory, and the investors not liking the increase in pricing, has malingered for the rest of the year. We are hoping that after the election and as we enter the selling season, we will see more inventory and then sales again pick up.